What is the difference between a bench chisel and the “carving chisels” you mention in this post? 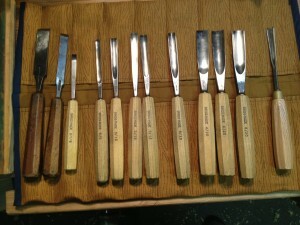 The “bench” chisels are your standard bevel edges chisels you can buy for most woodworking (but not carving) uses. A carving chisel has a very thin cross section typically. 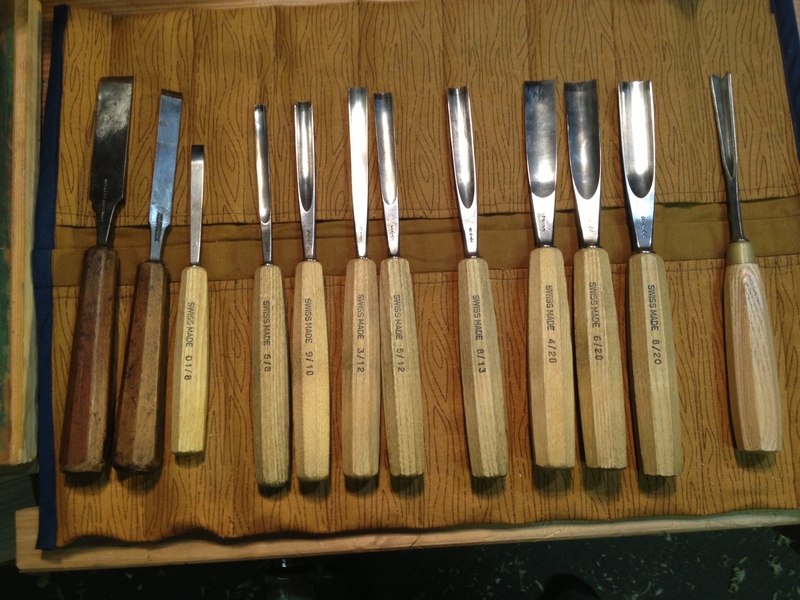 A bench chisel usually has a lot of metal in the blade. For carving they would be only good setting in a straight line really. Most of your carving tools have some form of a curve on them. I see. So, they are thinner … more like a pairing chisel I guess. No problem. They are a bit thinner, but they have a “bolster”? where the metal goes into the handle to prevent it from driving into the handle when you tap it with a mallet. I use a round applewood mallet I turned, and a small brass one i bought to apply force.